M.A. in Economics (2006), Visva-Bharati University, Santiniketan, West Bengal, India. Nancy and Richard Ruggles Prize (2010) for the paper "Liberalization, Informal Sector and Formal-Informal Sectors' Relationship: a Study of India" from International Association for Research in Income and Wealth (IARIW). Participated as a Young Economist in the 5th Lindau Meeting of the Winners of the Sveriges Riksbank Prize in Economic Sciences in Memory of Alfred Nobel, 19th to 23rd August 2014 in Lindau, Germany. Bairagya, I. (2014). Liberalization and Performance of the Informal Sector: A Study of Indian Economy, Routledge-Taylor & Francis Group (London and New York). Bairagya, I. (2018) "Why is Unemployment Higher among the Educated? ", Economic and Political Weekly (Special Article), Vol 53. Issue No.7, PP.43-51. Kambara, C. and I. Bairagya (2017). Earnings and Investment Differentials between Migrants and Natives: A Study of Street Vendors in Bangalore City, ISEC Working Paper No. 393 [revised and resubmitted to The Developing Economies, Wiley Publishing]. Bairagya, I. and R. Saraf. (2017) “Elementary Education in India: A Study of Accessibility and Quality”, in P. Agrawal (ed. ), Policies for Sustaining High Growth in India. New Delhi: Cambridge University Press. Gayathri, K., I. Bairagya, , R. K. Mishra and J. Raveendran (2016). “Funding for Social Science Research: Government Sources”, in S. Thorat and S. Verma (ed. ), Social Science Research in India: Status, Issues and Policies. New Delhi: Oxford University Press. Mishra, R. K., J. Raveendran, K. Gayathri and I. Bairagya, (2016) “Funding for Social Science Research: International and Corporate”, in S. Thorat and S. Verma (ed. ), Social Science Research in India: Status, Issues and Policies. New Delhi: Oxford University Press. Bairagya, I. (2015). “Socio-economic Determinants of Educated Unemployment in India”, ISEC Working Paper, No. 343. Bairagya, I. (2013). “Sub-contracting and Efficiency of the Informal Sector in India”, Journal of Developing Areas, Vol. 47, No. 2, pp. 341-361. Bairagya, I. (2012). “Employment in India's Informal Sector: Size, Patterns, Growth and Determinants”, Journal of the Asia Pacific Economy, Vol. 17, No. 4, pp. 593-615. Bairagya, I. and S. Chakrabarti (2011). “Social Cost-Benefit Analysis: A Case Study of Pollution Intensive Industries”, Indian Economic Journal, Vol. 58, No. 4, pp. 128-148. Bairagya, I. (2011). “Distinction between Informal and Unorganized Sector: A Study of Total Factor Productivity Growth for Manufacturing Sector in India” Journal of Economics and Behavioral Studies, Vol. 3, No. 5, pp. 296-310. Bairagya, I. (2009). “Sustainable Industrialisation: A Case Study of Impact on Income and Employment” in Prankrishna Pal (ed. ), Contemporary Issues in Development Economics: Models and Applications, pp. 257-289. New Delhi: Regal Publications, 2009. Bairagya, I. (2008). “Contribution and Growth of Unorganized Sector: Data and Measurement Issues in National Accounts Statistics”, The Journal of Income and Wealth, Vol. 30, No. 2, pp. 27-43. Bairagya, I. and M. Birua (2013). Employment Intensity of Output: An Analysis of Non Agriculture Sectors - Transport, Storage and ommunication Sector, IAMR Report No. 15/2013, Institute of Applied manpower Research, Planning Commission, Government of India. "Educated Unemployment in India: Causes, Consequences and Remedies", ISEC funded project. Co-investigator (with K. S. Umamani and M. Lingaraju) “Monitoring of Sarva Shiksha Abhiyan (SSA) and Mid Day Meal (MDM) Programme in Karnataka 2013-15”, Funded by Government of India. "Nature, Extent and Implications of Diploma Disease in India", ISEC funded project. Co-coordinator (With K. Gayathri, Jayasree Raveendran and R. K. Mishra) of a chapter on “Sources of Funding for Social Science Research in India: Flows, Adequacy and Priorities” of a major project on “The Status of Social Sciences in India: A Study on Funding, Supply and Demand, Quality and Impact”, ICSSR and IDRC funded project. Coordinated a two week Certificate Course in Methods and Applications in social Science Research (CCMASSR) from 26th September to 7th October, 2016 at Institute for Social and Economic Change, Bangalore. An organizing committee member to conduct the 6th Annual Conference International Conference of the Comparative Education Society of India (CESI) in collaboration with Azim Premji University (APU) and Institute for Social and Economic Change, at Azim Premji University, Bangalore from 14th – 16th December, 2015. Coordinated a two week Certificate Course in Methods and Applications in social Science Research (CCMASSR) from 26th October to 6th November, 2015 at Institute for Social and Economic Change, Bangalore. Chaired a session on “Education and social inequality 3: Composite roots” in the 6th Annual International Conference of the Comparative Education Society of India (CESI) at Azim Premji University, Bangalore on 15th December, 2015. An invited panelist in a panel discussion on "Education and Labour Market in India" in the 6th Annual International Conference of the Comparative Education Society of India (CESI) at Azim Premji University, Bangalore on 15th December, 2015. Delivered an inaugural speech on “Globalization and Informalization”, in OIKONOMIKA 2014, organized by Post Graduate Department of Economics of St. Josephs Post Graduate and Research Centre, Bangalore, India on 24th February, 2014. An invited panelist in the round-table discussion on “Rural Non-Farm Livelihood Sector” organized by Public Affairs Centre, Bangalore and CUTS international, Jaipur on 5th December, 2013 at Bangalore, India. A panelist in the discussion on “Economic Challenges Before the New NDA Government”, at Institute for Social and Economic Change, Bangalore, India on 25th July, 2014. Paper titled 'Functional Income Distribution to Personal Income Distribution: An Analysis of Impact of Liberalization on Indian Economy' for presentation at the 21st International Input-Output Conference organized by International Input-Output Association from July 7 to July 12, 2013 at Kitakyushu, Japan. Paper titled "Determinants of Informal Sector Employment and Level of Development: A study of Indian Economy" for the conference on 'Labour and Employment' organized by Indira Gandhi Institute of Development Research on September 5-6, 2013 at IGIDR, Film City Road, Goregoan East, Mumbai. "Liberalization, Informal Sector and Formal-Informal Sectors’ Relationship: a Study of India", in the 31st General Conference organized by International Association for Research in Income and wealth, 22-28th August, at St. Gallen, Switzerland. "Employment in India’s Informal Sector: Size, Patterns, Growth and Determinants" in the international conference on ‘The Informal Sector and Informal Employment: Statistical Measurement, Economic Implications and Public policies’ organized by the VASS (Vietnamese Academy of Social Sciences), 6-7th May, 2010, at Hanoi, Vietnam. "Sub-contracting, Market Certainty and Efficiency of the Informal Sector in India", in the 9th Annual International Consortium of Students in Management Research organized by Department of Management Studies, Indian Institute of Science, Bangalore, 5-6 November, 2009, at Indian Institute of Science, Bangalore. "Informal Sector in India: Contribution, growth and efficiency", in the international conference on‘Measuring the Informal Economy in Developing countries’ organized by International Association for Research in Income and wealth and South Asian Institute of Management, 23-26th September, 2009, at Kathmandu, Nepal. "Determinants of Educated Unemployment in India" National Seminar on Youth Employment in India: Trends, Challenges and Policy Responses, 30th and 31st of January 2015 at RGNIYD, Tamil Nadu. "Data Challenges for Indian Economy" presented in the conference on Official Statistical Systems on 15th November, 2014 at Gokhale Institute of Politics and Economics, Pune. “Elementary Education in India: A Study of Accessibility and Quality” presented in the workshop on “Policies for Sustaining High Growth Rates in India, at Institute of Economic Growth, Delhi, 19-20th August, 2014 (with Radhika Saraf, co-author). "Contribution and Growth of Unorganized Sector: Data and Measurement Issues in National Accounts Statistics", in the conference on ‘National Income and Wealth’ organized by Indian Association for Research in National Income and Wealth, 27-29th November, 2008, at Institute for Social and Economic Change, Bangalore, India. "Sustainable Industrialisation: A Case Study of Impact on Income and Employment", in the symposium/workshop on ‘Development Economics’ organized under the UGC ASIHSS Programme at the Dept. of Economics, University of Mumbai, Mumbai, India, January 30-31, 2007. Sixth Development Convention on 'Transformation, Transition or Stagnation? Understanding Change in a Globalising Economy' held at MIDS, Chennai, 22-24th February, 2007. Two-Day UGC sponsored seminar on 'Contemporary Issues in Development Economics' organized by the Dept. of Economics, Rabindra Bharati University, Kolkata, March 8-9, 2007. ICFAI Business School on ‘Doctoral Theses Conference’, Hyderabad, March 9-10, 2007.
International Association for Research in Income and Wealth. Indian Association for Research in National Income and Wealth (Life member). Member, Board of Studies (UG BA courses), Department of Economics, St. Joseph College, Bangalore. May, 2013 to till date: Assistant Professor, Centre for Human Resource Development, Institute for Social and Economic Change, Bangalore, India. 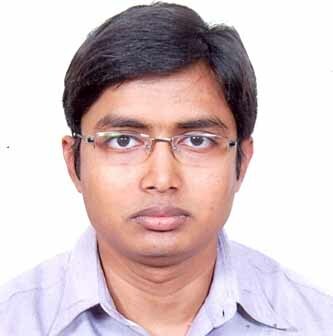 August, 2012 to May, 2013: Assistant Professor, Tata Institute of Social Sciences at Guwahati Campus. November, 2011 to August, 2012: Young Professional, Institute of Applied Manpower Research, the only research institute under Planning Commission, Government of India.